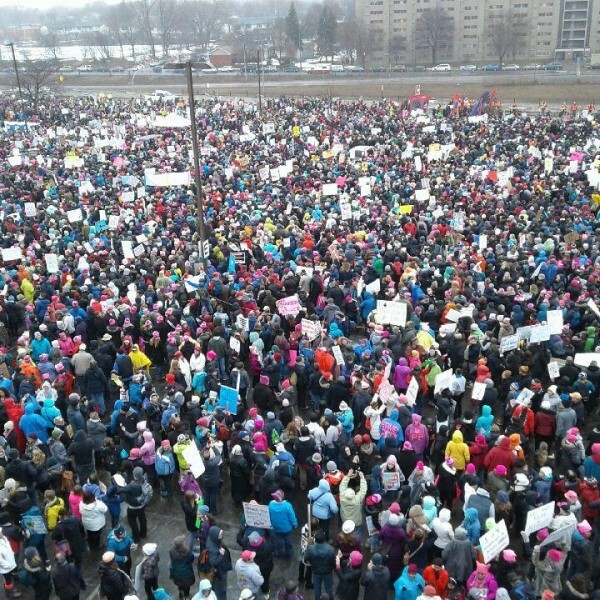 Women's March Minnesota draws tens of thousands | Fight Back! 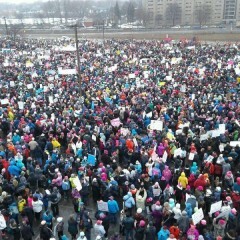 St. Paul, MN – Tens of thousands of marchers, predominantly women, are in the streets of Saint Paul today, Jan. 21. This is the second day of major anti-Trump protests in the Twin Cities. On Friday, Jan. 20, 6000 people marched through the streets of Minneapolis.